This article “The End of Courtship” is quite possibly the best article written in regards to dating for generation Y. As my roommate said yesterday, “If I had a highlighter I would have highlighted the entire article”. Just last night a guy I met about a month ago texts me at 11:15 p.m. saying “hey”… Hey what?? Hey, you’d like to talk? Hey, you just broke your leg? Hey, are you awake? What??? It’s the most irritating thing in the entire world. I think I’d rather get a call than a text this late at night, but considering guys appear as if they are socially incapable of calling a girl these days, I might be on the fast track to single-dom forever. Another one of my girlfriends met a guy on New Years; they talked all night and even got a kiss in. He texted her constantly for the next week, but his answers fell pretty short of what we thought he was actually looking for. When she asked him questions like what he liked to do on the weekend, his response was “I like to get aggressive”. We were both wondering– as in you like to mosh around? Or is it that you like to get angry? If a guy asked a girl this question, it would the same as her replying “I like to get slutty”. Hmmm… what? You like to get slutty on the weekends? Makes complete sense. Thus far, I can honestly say that I’ve only DATED one guy who truly and honestly DATED me. To start, he was one of the first guys that brought me flowers for no special reason. A guy that picked me up for each date, made future plans with me before the date ended and planned something out. I’m not just talking about dinner or dinner and a movie, I’m talking about dates that took a little effort and thinking. One date in particular, this guy took me to the Malibu Getty Villas, then to a seafood restaurant overlooking the ocean. This restaurant allowed you to bring your own wine, and you better believe he planned ahead and brought a bottle! It’s the little things. Maybe it’s the fact that you can’t find a guy anymore that is willing to work for you. A guy that WANTS to impress you. Did I mention he didn’t have any physical expectations from the start? I know, SHOCKING. Guys don’t take girls out anymore because they are interested, but because they are hoping to receive in the end. However, this guy I went out with took his time. At one point I asked all my friends if they thought he was new and inexperienced at this. Come to find out he wasn’t, he just had more respect for me and saw what we had going evolving into a relationship rather than a hookup. These guys are a dime a dozen, almost IMPOSSIBLE to find today. As in the article, it’s not an issue of meeting guys out, but figuring out where to go from there. You meet a guy in a bar, through friends, out or at work. They get your number and text you. They aren’t agressive. They don’t try to follow up to see you. You would think they had millions of other options. However, from what I have heard from my guy friends, this isn’t the case. I have one guy friend who is successful, good looking, smart, funny and plans the best dates, but he tells me each and every day how over girls he is. They aren’t worth taking out because they are either boring, slutty or the opposite, stringing him along but not really giving him any cheese. 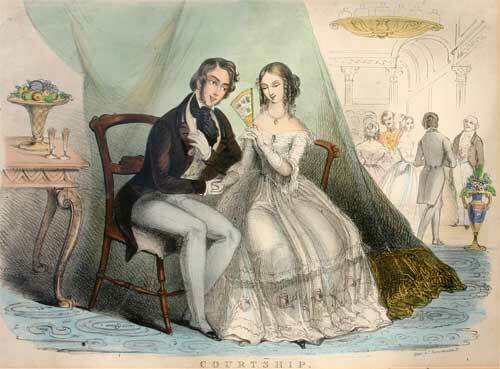 If you haven’t already done so read this AMAZING L.A. Times Article “The End of Courtship” HERE.